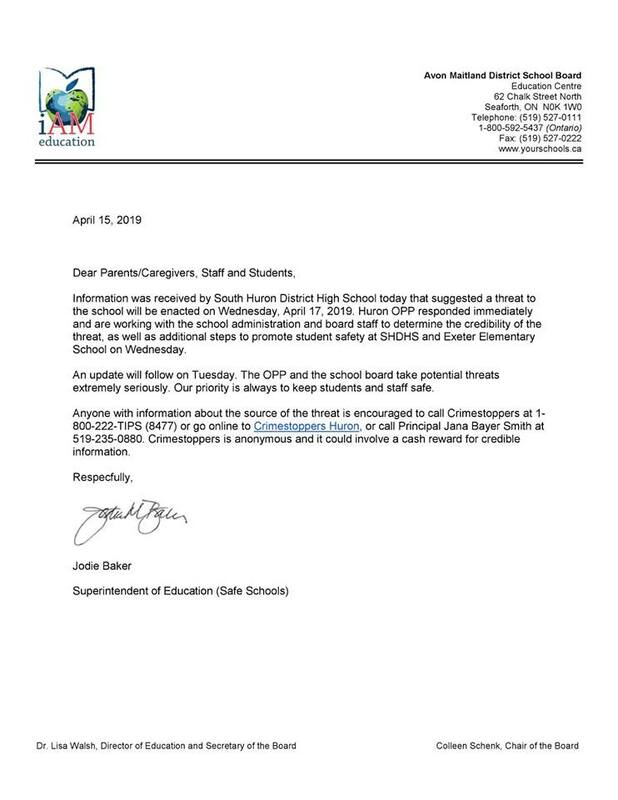 The South Huron District High School in Exeter sent out a Facebook message and letter Monday, indicating that information had been received suggesting a threat to the school. 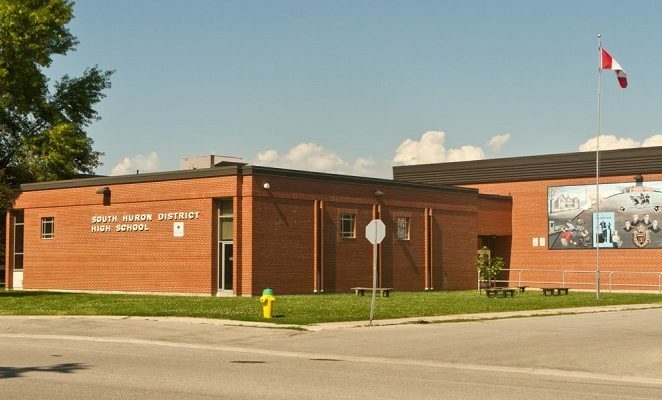 The letter stated that Huron County OPP responded immediately, and are working with school administrators to determine the credibility of the threat. 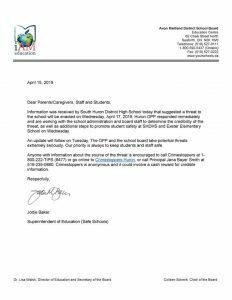 The letter noted the threat was to be enacted on Wednesday. The Avon Maitland Board is to provide an update Tuesday on additional steps to ensure the safety of students at the Exeter high school and Exeter Elementary School. Anyone with information on the source of this threat is encouraged to contact Huron County OPP or Crime Stoppers.